I meet people all day long whether they are old colleagues or new to the area and many of them really stand out. There are a number of locals that spend their days working really hard to make their community an awesome place and I am not talking an hour doing something nice each quarter. I am talking every day looking for ways to be productive and a benefit to the community through service, promotion or just spreading the good word. On the other hand I get asked by new business reps and those wanting to do business locally “who should I know?” to hit the ground running. So I have created a list and yes we may recognize some of the names and I will probably miss someone that should have been at the top, but today this list of 6 are the go to names you should connect with to just be of help or to give some guidance on being a great part of an awesome community. Rob Garrett – Rob runs First Merchants Bank and even though he is way far away East of downtown he has a feel for what is happening more then the average local. Rob is enthusiastic for connecting people in Westfield and when I need someone to promote and make introductions, I immediately think of Rob. It would be of anyone’s interest to stop in and introduce themselves to Rob and share how they would like to be involved. Go meet Rob! Jack Russell – Young Jack is making a mark on our community as the Director of the Chamber of Commerce and its impressive what he is accomplishing quickly. Westfield has this booming small business community and at a time it was looking for someone to bring fresh ideas, Jack stepped up. 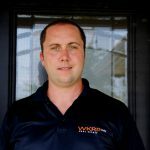 Jack will openly tell you that he wants to make introductions between businesses that need to know each other. He also has expanded beyond local and is bringing in innovators from around the state including Purdue Politech to be a part of some cool stuff happing in Westfield. Meeting with Jack should be about learning his programming goals for the Chamber and also sharing with him who is a good partner in the community and how he can make that happen. 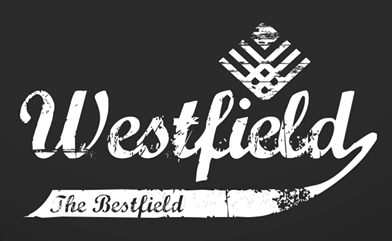 Chuck Lehman – Chuck is the former City Council President and is full speed ahead on Westfield development. Every time I meet with Chuck I get fired up for small business and the community. Chuck has years of business expertise and development that he puts to work every single day to help Westfield grow. If I was looking at Westfield to locate a business or was considering a new development, my first call would be to Chuck. Meet him and expect honesty and a challenge, but also results. Just what most small businesses need from a city. Danyele Easterhaus – Woo Hoo our current Citizen of The Year and by far over qualified for that titled. Danyele runs Student Impact which is a teen space to keep them out of trouble and offer guidance during some crazy years. So she is a saint for working with that demographic but DE is way more then that. Danyele knows exactly how to tie into a community through volunteering and local needs. When many move to a community or decide to get involved they want to know where an effective organization is that they can help, Danyele’s is just that. Once you meet Danyele you will realize why her passion opens doors and I promise you will be inspired to help and get involved. Connect with Danyele but don’t worry she is not going to put you to work on day 1 but she has her pulse on Westfield and where some human involvement can go a long way. Melody Jones – Mel runs the parks department for the city and its a lot more then just keeping the trash cans empty and flowers planted. They are charged with awesome community events, awesome open space and a killer trail system that I would put up against any city this size. Mel has been great to know locally just for her commitment to wanting things to be done very well so that a community can gather and enjoy these spaces as intended. Melody can fast track any organization that wants to integrate with the city events and outdoor activities. They offer fantastic sponsorship opportunities and really become a partner with those small businesses that want to have a presence throughout the entire city. I would suggest connecting with Melody Jones and seeing how her organization can be a part of your local growth. Penny Weston Foster – I really have no idea which last name is the right one because everyone knows Penny as PENNY. Penny owns Grand Style Station and while she will always get my praise for taking risk to open a salon in a neighborhood near “restaurant row” she is also the biggest fan of Westfield and wants to help. Penny is a natural connector and applies her non stop energy to helping those looking for the right referral get that done. She knows whats going on and has been a huge help keeping me in tune with the local pulse. Contact Penny, get a haircut and make an awesome friend. Obviously this is my list and if you are offended you are not on the list…..that is probably why. I want people to grow in Westfield and find the best way to connect and become a part of an awesome community. These are 6 of my current contacts that every single day are nose to the ground doing their part. If you would like a warm fuzzy introduction to any of these friends, please don’t hesitate to ask. This is what makes Westfield the Bestfield. Good luck!